The “telematics box” is an electronic control unit that incorporates a phone module for the connection to communication networks, a module for vehicle “multi-constellation” satellite localisation (GPS, Galileo, Glonas systems) and a 3-axes accelerometer to detect acceleration and braking parameters. As far as this device can, at the same, time detect vehicle position and operation data and send and receive information from outside the vehicle thanks to the GSM module, it is able to fulfil different functions and applications related to infomobility, safety and to the services associated with intelligent mobility management: insurance services area, fleet management, tracking, info-logistics, car pooling, e-call (the automatic emergency call in case of accident or vehicle overturning), e-toll (the telematic payment of motorway tools or other road services), tele-diagnostics (the remote monitoring of vehicle operation that allows a central infrastructure to identify possible breakdowns or anomalies) and the obtainment of information on car parks, limited traffic areas (ZTLs), traffic and road conditions. In terms of modularity and configurability, there are other personalisation options such as, for example, connection to external devices such as speakers and microphones, intelligent displays, smart card readers and EOBD modules. 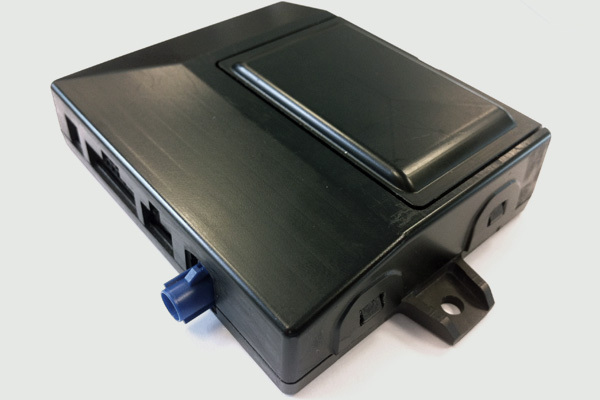 Magneti Marelli’s “t-box” is available both for the OE world (Original Equipment) and for the aftermarket. In addition to the actual production of the device, as Magneti Marelli traditionally operates also on the aftermarket, it can cover several aspects of the value chain in this area: the company can also make available its capillary network of assistance and workshop, Magneti Marelli Checkstar, for box installation and maintenance, in addition to a multi-language help desk service.